Next Tuesday, CEI-IUL, in partnership with Rondpunt Association and ACA-M, is organizing a workshop to present the findings of a project on the needs and importance of restorative justices practices in road traffic cases. Despite the fact that road traffic crashes occur on a daily basis, its victims are often perceived as collateral damage of the way we want to live our lives and uphold our levels of mobility. As a consequence, society at large but also professionals, do not always approach road traffic victims properly. By not realising the impact of a traffic crash on victims’ lives, professionals often do not inform them about and refer them to the appropriate support services. This can cause extra harm and might even lead to secondary victimisation. In other words, since road traffic victims are often not recognised as ‘victims’, they are at risk of not knowing their rights and of not receiving support at all. Consequently, Rondpunt, together with the University of Leuven (the Leuven Institute of Criminology) and Moderator (a Belgian restorative justice service), wants to gain more recognition for these victims and improve the accessibility of support. 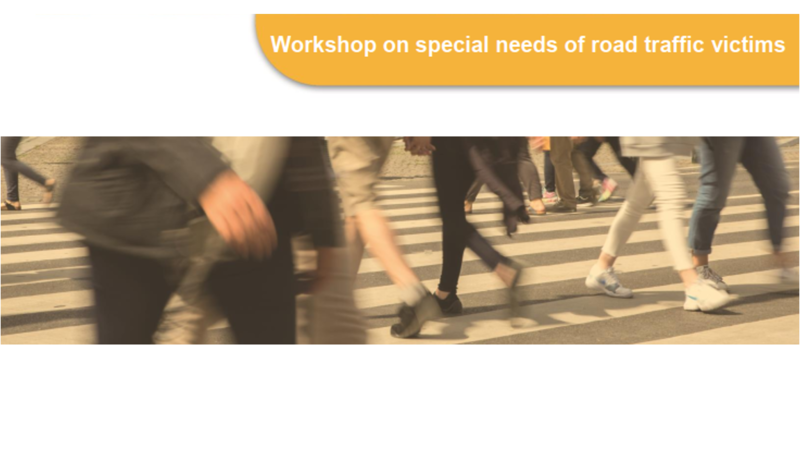 In our EU funded project ‘Victims of road traffic offences’, which has started in March 2017, we organise trainings on the specific needs of road victims and how they can be met through interdisciplinary cooperation between victim support and other services. Within the project, we pay special attention to the need and importance of restorative justices practices in road traffic cases. At the training, we would like to present our findings with regard to the specific needs of this target group, which will be accompanied by a participatory video made by a road victim. Afterwards, we would like to discuss some good practices and the blueprint and manual we have developed on interdisciplinary cooperation and restorative justice practices.